Pokhara helicopter tour is one of the popular city sightseeing tour package by helicopter thatoffers a scenic heli ride to explore the beautiful lake city Pokhara surrounded by mountains. Pokhara heli tour an amazing helicopter ride over the Phewa Lake and city. The helicopter tour gives an opportunity to explore the green and clean city Pokhara from the aerial view. 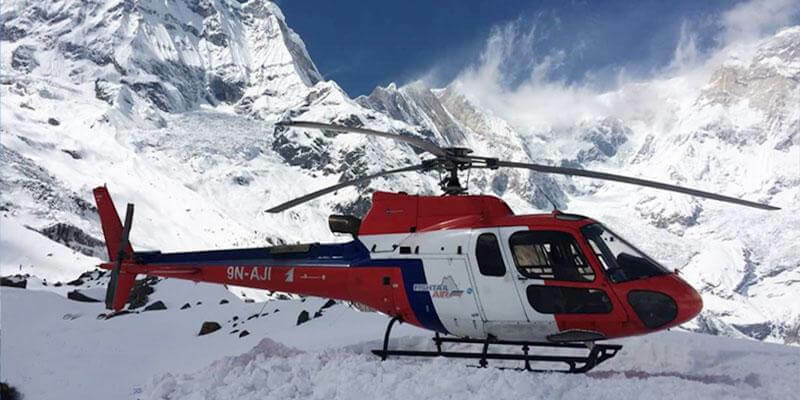 Pokhara helicopter tours is 15 Minutes sightseeing by helicopter including Pokhara city, lakes, majestic views of Northern Mountains standing white and tall. Sightseeing of Pokhara starts from riding a chopper from Pokhara airport that flies around the Pokhara valley. It flies over World peace pagoda, Fewa Lake and Sarangkot hill. While doing the sightseeing, the views of the lake and the mountains are awesome. For the great experience in a life, Pokhara by Helicopter ride is memorable one to share the amazing story to all the world.